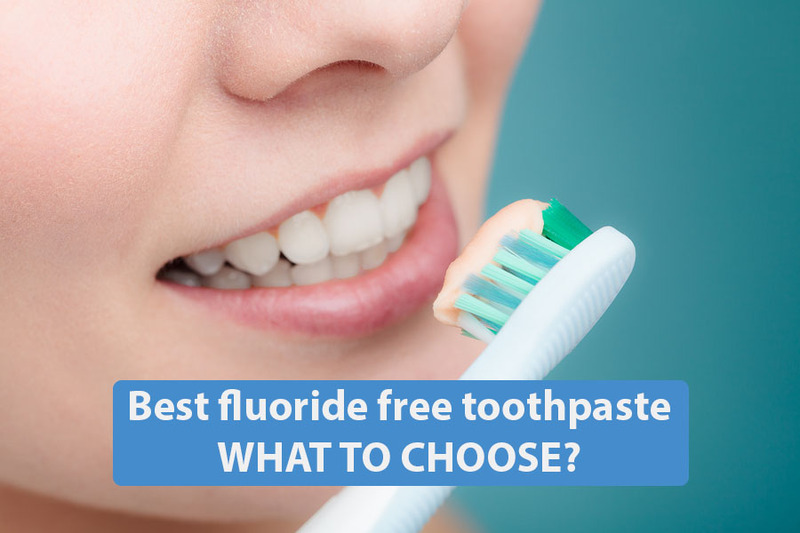 Fluoride free toothpaste is something which most consumers have not considered when purchasing toothpaste. Many of us do not know the benefits using toothpaste without fluoride and are unaware of the dangers with most of the commercially available toothpaste which contain fluoride. Brushing our teeth is essential for maintaining personal hygiene. You should be brushing and flossing at least two times per day to avoid bad breath and dental infections such as gingivitis and periodontists. If you visit your local supermarket or chemist and have a trek to the toothpaste aisle, you’ll see numerous brands of toothpastes dominating the shelf space. It can be confusing choosing which toothpastes to use. Fluoride is an industrial poison. It has been used to exterminate rats and similar to lead, fluoride can accumulate in the human body and stunt brain development in children. Studies have also shown fluoride increases the risk of osteoporosis and damage the nervous system in adults. Despite these facts, fluoride has been deliberately added to our water systems, food and toothpastes.A tube of toothpaste contains enough fluoride to kill a small child. The average dose required to kill a 2-year-old child is 60mg, and many commercial brands of toothpaste contain more than twice the amount of fluoride in a single tube. Every day millions of people around the world brush their teeth with toothpaste containing fluoride. On average, a child will swallow 25% to 33% of the toothpaste they use when brushing their teeth. So Why Add Fluoride To Toothpaste? Fluoride is one of the main and active ingredients in toothpaste and has been added to many major brands of toothpaste consumers use today since 1914 when studies showed fluoride could reduce cavities. Since those studies, fluoride has also been added to other products including soft drinks and water systems in an effort thought to reduce tooth cavities. However, it was later discovered that tooth decay was caused by bacteria living in the dental plaque. The main culprit was Streptococcus mutans and Lactobacillus which produced acids which damaged tooth enamel. These acids are produced when carbohydrates such as sugars are consumed. Death is however, not the only main concern with fluoride toothpaste. Gastric problems, dental fluorosis, allergic reactions and periodontal disease are among the common side effects associated with ingestion of fluoride. Now that you know the dangers of toothpaste what can you do to reduce the risks and side effects of using toothpaste with fluoride? The answer is simple. Brush your teeth with fluoride free toothpaste.There are many brands of toothpaste which do not contain fluoride available today. These toothpaste use natural anti-microbial agents to reduce dental bacterial which cause tooth decay. They are safe, especially for children and most importantly, they don’t contain any toxic fluoride. Naturally occurring ingredients are added to fluoride free toothpaste and you won’t find any synthetic substances, additives or artificial flavors and colors. Now that you know the benefits of using fluoride free toothpaste please consider it the next time you need to restock your toothpaste. Ingestion of fluoride is toxic and dangers to yourself and your children and with so many products already containing fluoride including your tap water, soda drinks and even some foods, the risk of poisoning from fluoride has never been higher. Do yourself and your children a favor and use toothpaste which does not contain fluoride.